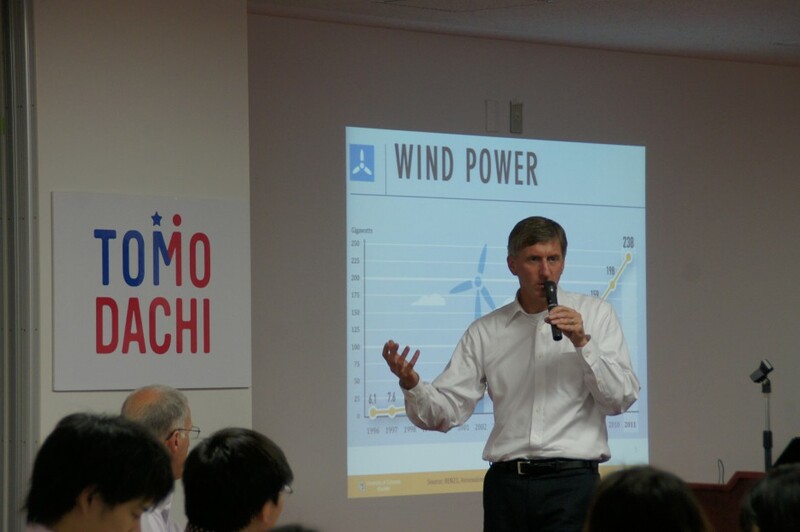 During the week of May 13, the TOMODACHI Initiative cooperated with the US Embassy, US Department of Energy and Toshiba Corporation to convene discussions on Japan and US energy policy with high school and college students. Five total events were convened in Tokyo, Sapporo, Naha and Fukuoka. The events featured experts from the United States—from Lawrence Berkley National Laboratory, the University of Colorado, and Daikin USA—who provided information for students on renewable energy and methods for saving energy. During each event, students had an opportunity to receive briefings from the energy experts, and engage them and their peers through question, answer and discussion sessions. This was the first time the respective organizations have worked together to implement this type of event.